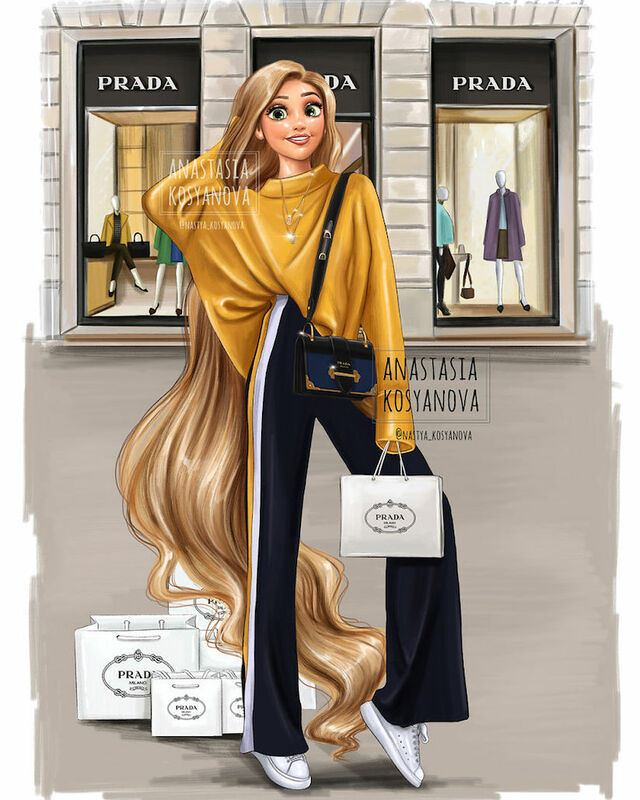 From cute daily outfits to stunning ball gowns, Disney princesses have always been the main fashion inspiration to little girls all around the world. 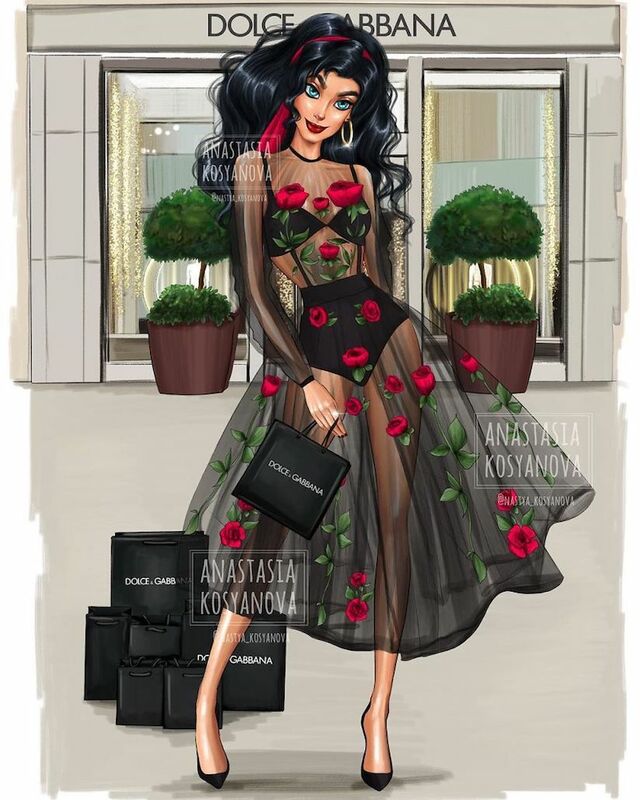 While we nostalgically dream of puffy dresses and glass slippers, we have to admit – they are pretty old-fashioned and wouldn’t make it onto a modern runway or the cover of a fashion magazine. 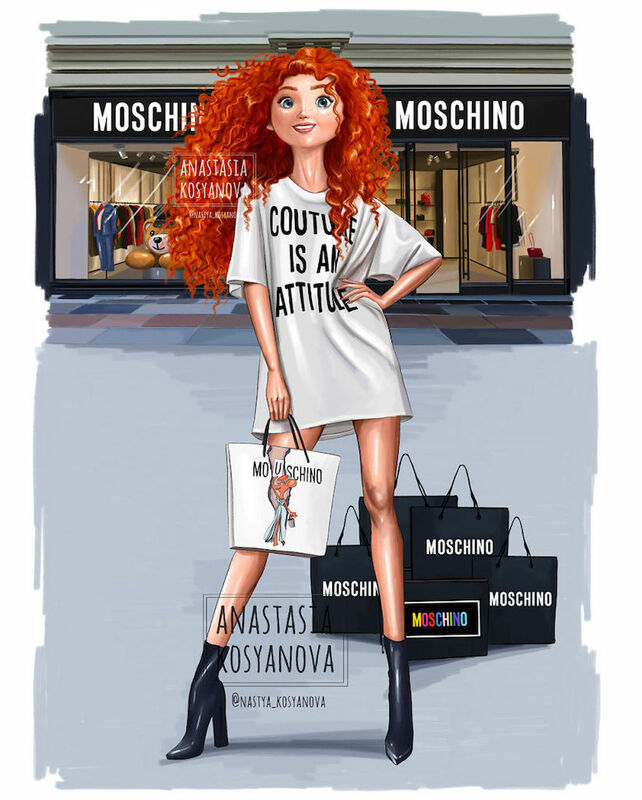 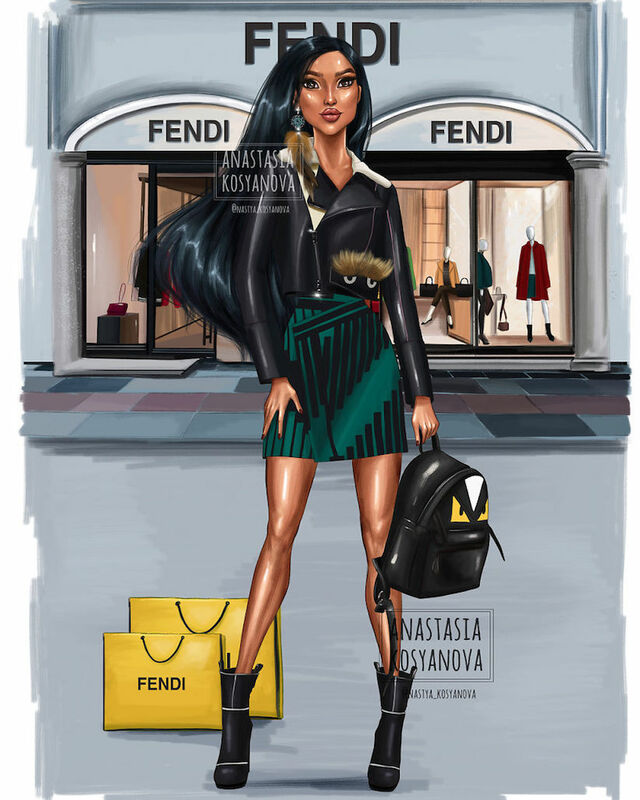 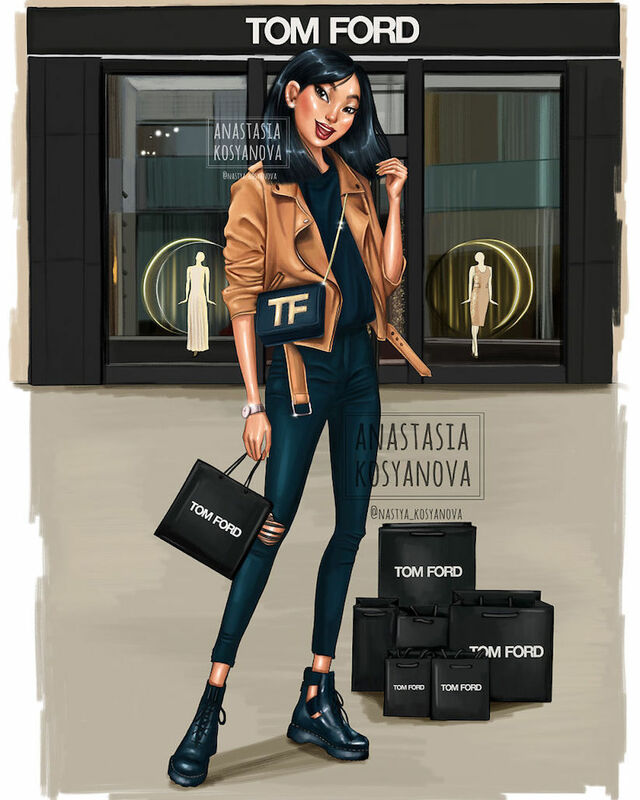 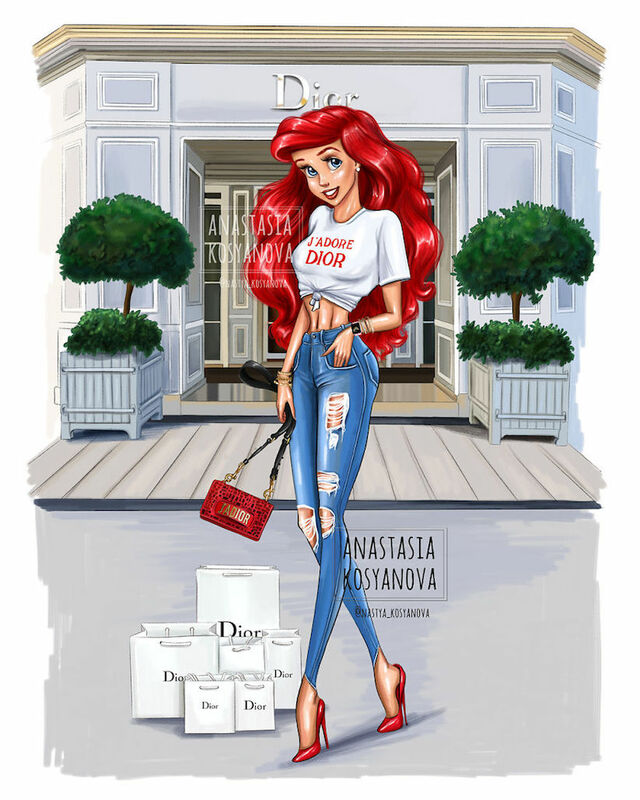 What brands and clothes would Disney princesses choose if they lived in modern times? 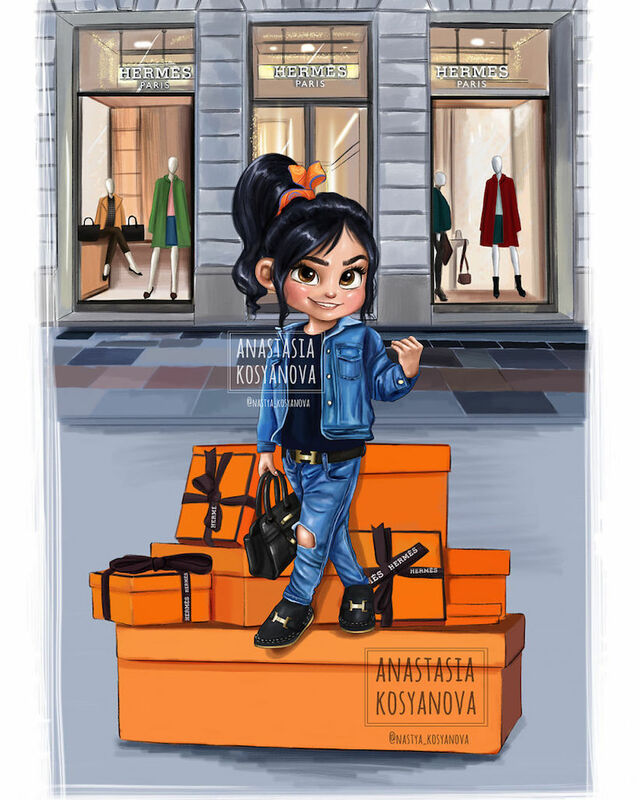 Russian artist Anastasia Kosyanova knows the answer to this question and shares it with all fashionistas worldwide. 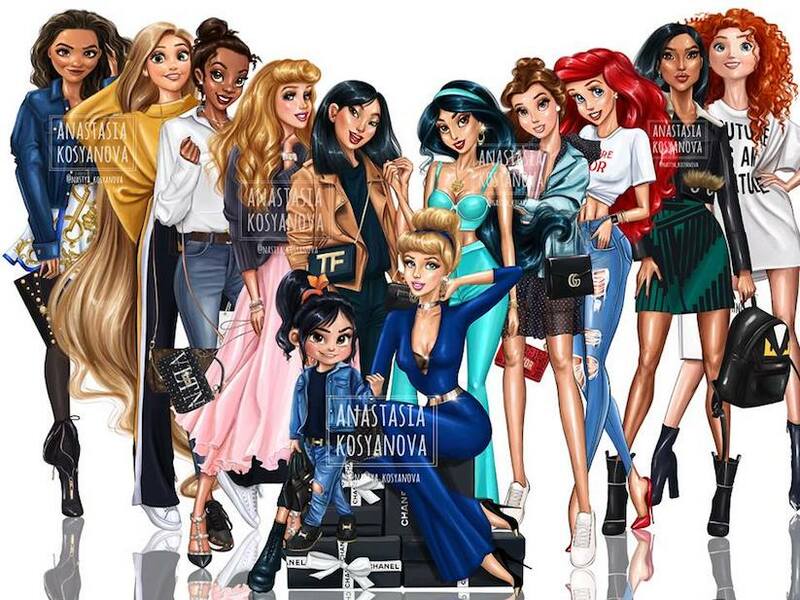 One thing is sure, befitting a true princess, these girls would definitely go on haute couture shopping. 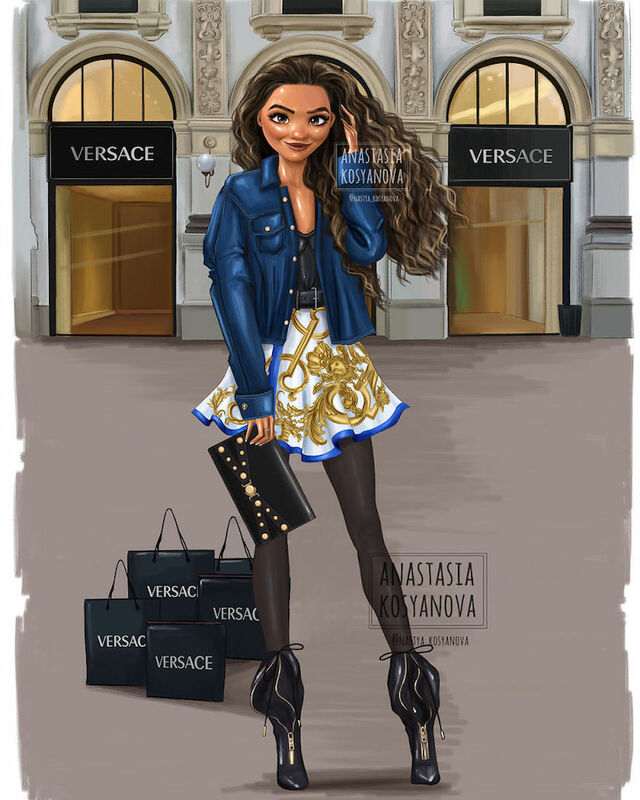 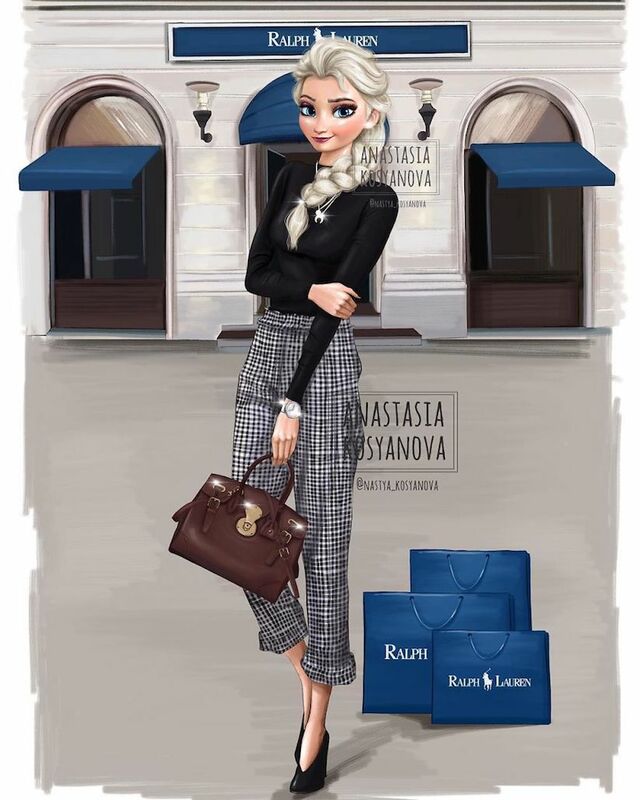 From Prada to Versace, our favorite princesses certainly know their worth and are ready to make a fashion statement.